New Mulberry Purple Baskerville! 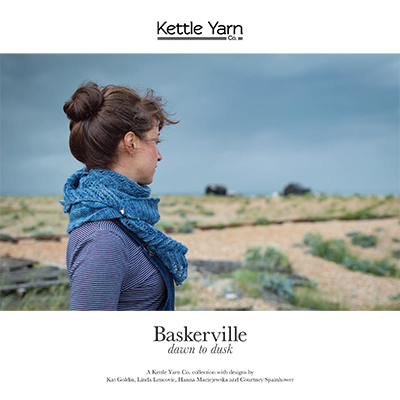 - Kettle Yarn Co.
I’ve added a new colour to Baskerville this week, a deep plum purple called Mulberry. This small batch blend of British Exmoor Blueface, Gotland and Silk is back in stock in the full range of blues and greys! I’ve been reimagining all the Baskerville Dawn to Dusk book designs in purple now. 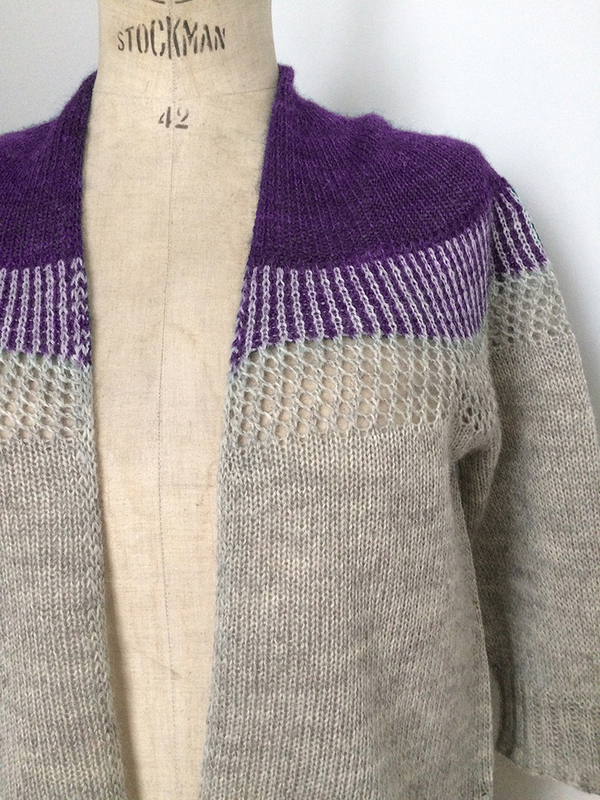 Look at Bristol Ivy’s Plym and Courteny Spainhower’s Bovey above in purple. Great, right? From top left Karie Westermann’s Okement from Baskerville Dawn to Dusk II: NEW Mulberry, Umbra, Dawn, Avocado 1, Dusk, Leaden. 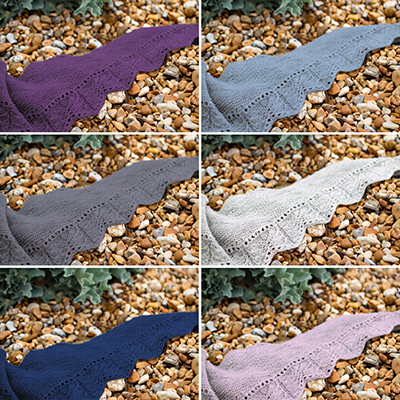 I also went a little crazy with Karie’s Okement shawl in a number of the Baskerville hues! 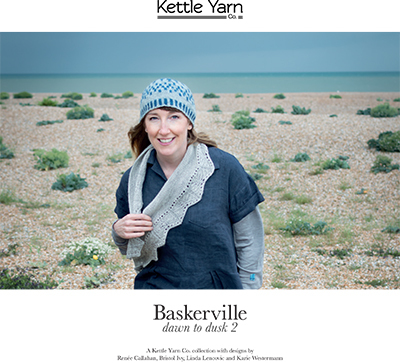 20 skeins of Mulberry are now ready for you in the shop, along with the other hues and both Baskerville books for knitting and crochet pattern support in the blend. Also this week, in time for early holiday planning, I’ve reset the option to back order the most popular projects bags and shawl pins. ! 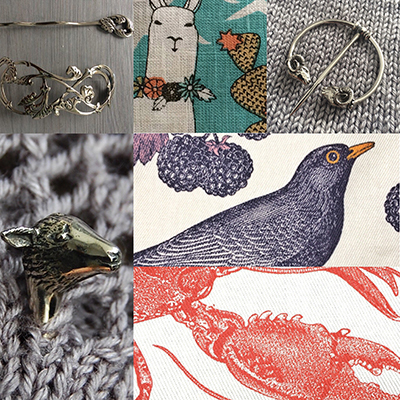 I’ll be doing a special order of all these items mid November in time to ship worldwide. Get them ordered now and make sure you have them for your special loved ones!